Best described as an “Easter trick-or-treat,” this unique event features display tables hosted by area businesses and organizations. Families visit each table to collect treat-filled eggs and special offers from vendors. 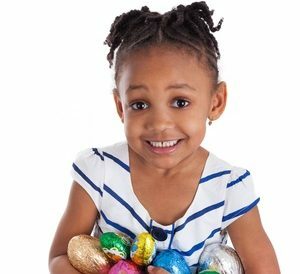 Kids can make crafts, play games, jump in the bounce house and get photos taken with the Easter Bunny. This festival features a small animal petting zoo, egg activities and crafts, balloon art, face painting, a bounce house and a hay ride with Easter stories. Egg hunts are divided into groups for ages 2 through 5th grade and include a special needs egg hunt and activities. Spend a few fun hours skating, enjoying themed activities and getting photos with the Easter Bunny. Donate a seasoning, sauce or condiment to receive free skate rental. Adults-only “Easter egg hunt” includes wine and hors d’oeuvres at participating restaurants. Special offers will be available from many of the The Star’s shops and food venues. 100,000 Easter eggs will be hidden for children to find! Adults and kids alike can stroll through the accompanying car show. Multiple egg hunts will include four age-specific hunts in the morning and one all-ages hunt in the afternoon. Bounce houses, face painters, games, music, crafts and a coffee shop round out the festival atmosphere, while an indoor “Walk with Jesus” tour recounts the meaning of Easter. Landon Homes is building beautiful new homes in Allen and Frisco’s top communities. Call us today at 866-898-3603 for a tour of our Frisco TX homes.